I'm a NASCAR fan. I like everything about the sport — the technology, marketing, fans, drivers, teamwork, and the coordination required to maneuver a car around the track. It's a multifaceted sport that many detractors don't understand. But hey, I don't understand cricket, so to each his own. I'm not sure I'd make a good NASCAR driver. I've never liked competition (even though I'm a big advocate for entering contests), but watching NASCAR has taught me a lot about competing in scale model contests. 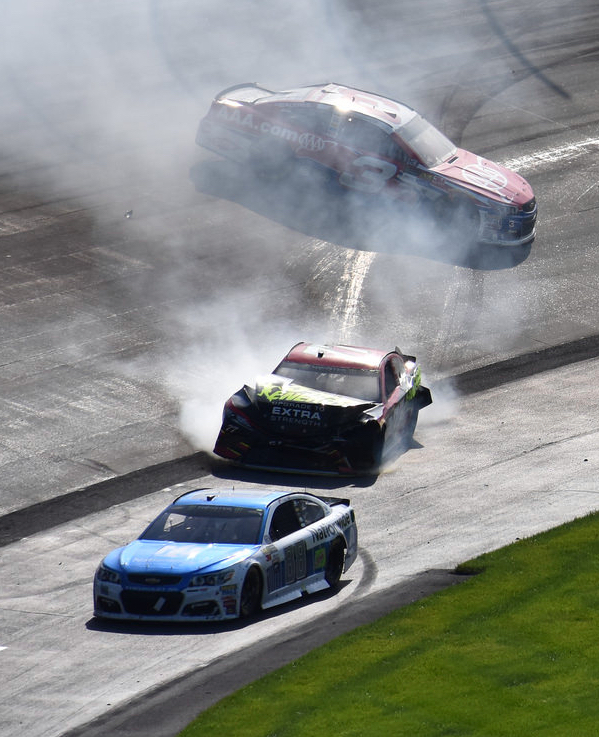 With the 2017 model contest season behind us now, I thought it would be interesting to reflect on three things I learned from watching NASCAR over the years. NASCAR drivers and their crews focus on one race at a time. In the week leading up to a race everyone is focused on what it takes to perform optimally on that particular track. For me, as a modeler, that means building only one model at a time. I know many of you have two, five, ten projects going at once, but I'm convinced that we'd be better modelers if we finished the model on the workbench rather than spread our time over four, five, or more models at a time. Only one drive will win each race. The drivers understand that their careers aren't over if they don't win any particular race, or even the season championship. Kurt Busch was NASCAR’s 2004 champion yet finished the 2012 season in 25th place, and without a single win. There are better modelers in the hobby, but I don't let that diminish my enjoyment of the hobby. Drivers put every loss behind them and look for ways to improve their performance the following week. I try to follow their example. I usually don't place at the contests I enter. (I'm a sloppy modeler.) If you’re one of the few modelers who’s driven to win (though most of you are not), learn from the loss and look for ways to improve your next model. Aside from the rare, bad call from NASCAR officials, the drivers are almost always gracious when they lose. They thank their sponsors, pit crew, and the guys back in the shop. They acknowledge their strengths and their weaknesses. It's too easy for modelers to lose sight of the simple enjoyment of building models and sharing them with our friends, which is what the hobby is ultimately all about.